Last weekend a few of my closest girlfriends and I ventured over to Shordeditch to try out brunch at Hotbox. 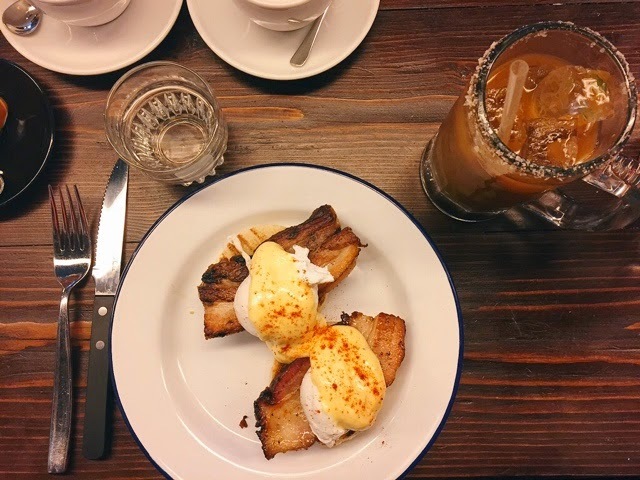 Different areas of London really are so different, the east is slightly less busy than central and to find brunch haunts takes a bit of research, but is always worth it. 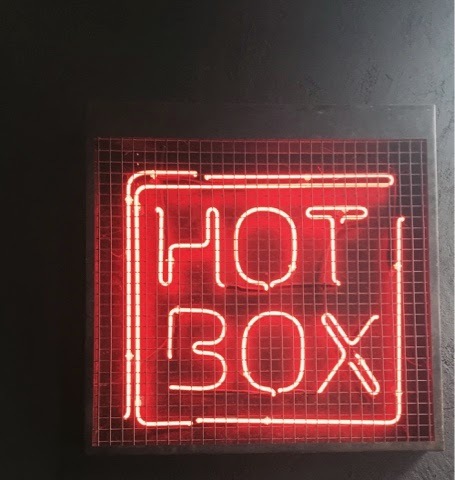 Hotbox is on a large long street, if you weren't adamant to get your hands on their 'Green Classic Bloody Mary' you may just walk straight past, its industrial exterioir is quirky and blends into the rest of the old warehouse, industrial feel common in East London. Once inside you are taken to your long bench style table where everyone cosies up to each other and you start to tackle the menu. 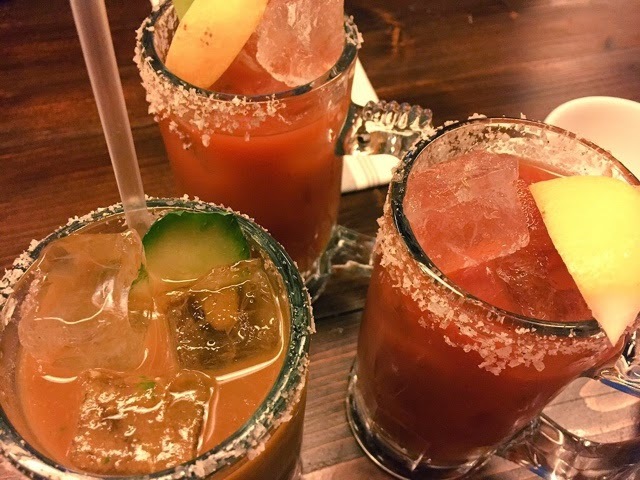 For this place the hardest choice you face is if you want the bottomless Bloody Mary brunch, or just one, depending on your afternoon plans! At £25 a head for just the bottomless brunch, you would need three of the large, strong Bloody Mary's we decided that even though proseco, the slightly lighter option could be included in the offer we would pass, one each would do and we could try each other's to get the varying flavours. 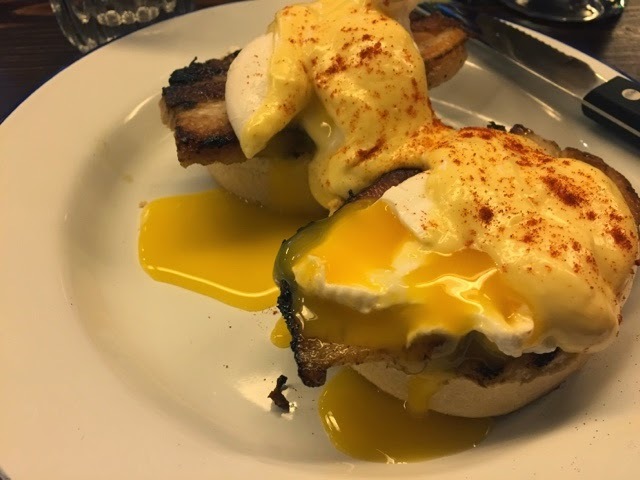 If you are after a lazy Sunday, or a place for a birthday brunch the bottomless option could be extremely appealing, however a special occasion is needed considering the charge per diner doesn't include food. All with large sticks of celery, cucumber and lemon. We went for the green, the spicy and the classic. All delicious... and dare I say it extremely moreish! That's the green... Spicy, savoury and delicious. 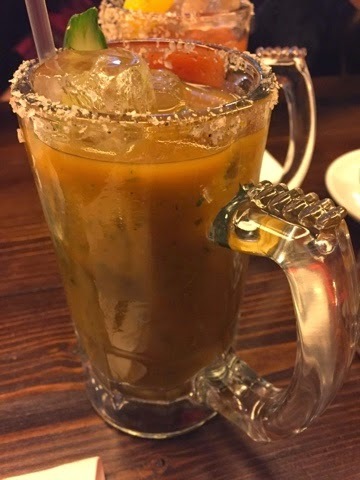 The tops are dipped in salt to heighten the flavours and add a kick to each sip. 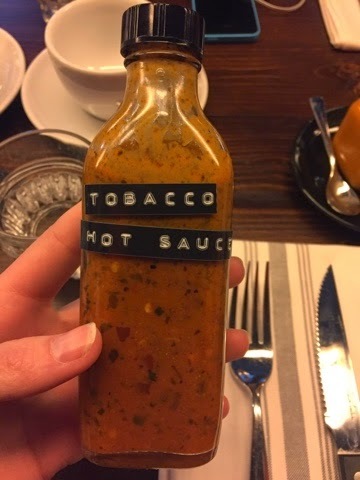 If you are in need of an extra bit of heat bottles of hot sauce can be found at every corner.